The first time I got to play a truly great instrument was when I was about 14. Through my teacher’s connections I was able to try two Strads and a beautiful grand pattern Nicolò Amati. One of the Strads was the guitar-shaped ‘Braga’. It’s a very fine, resonant instrument. There’s something about its dark quality that reminds me of the most successful Brescian violins – that big, deep sound. It’s a bit of an oddity: the colour isn’t one dimensional, but I wouldn’t say it sounds like most Strads in its tonal ideal. 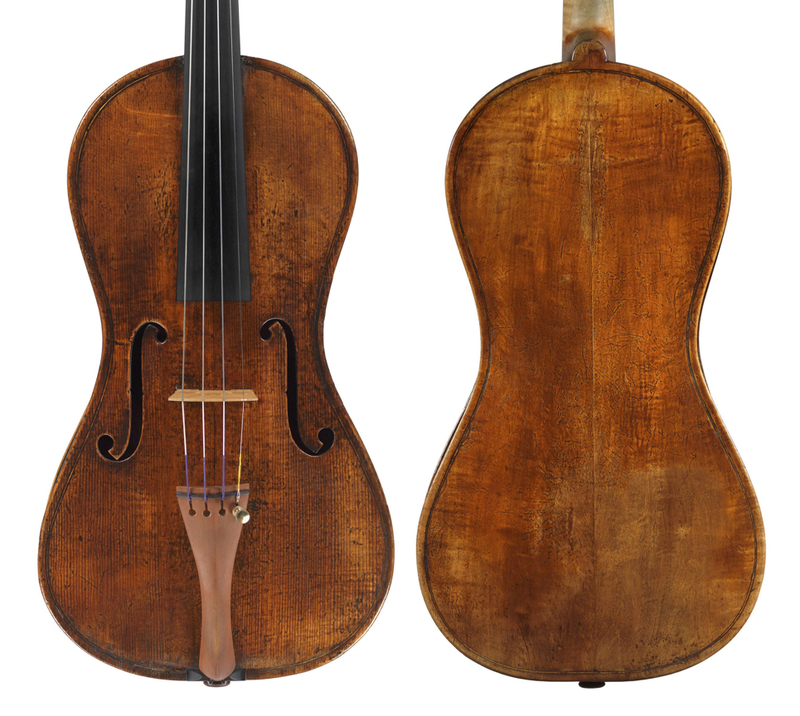 The other Strad in the room was the 1698 ‘Lark’, one of those Strads made right at the end of the 17th century, post-long pattern and pre-golden period. It’s a bit of a throwback to his 1680s design, more Amati-like. At that time I had no frame of reference and I didn’t know what a great concert Strad sounds like, but the ‘Lark’ sounded amazing to me. The owner was very generous and over the next couple of years allowed me to play it for special concerts. This was my first experience with a violin that combined everything I was looking for. There are violins that project but don’t sound particularly nice, or that sound beautiful but are difficult to play, or are easy to play but don’t project. Getting all those things to work at the same time is the genius of the great makers, both old and new. The ‘Lark’ was a great learning tool. I’ve always found that Strads are so refined, or have the potential to be so refined, that they make me practise. There’s a level of perfection, detail and sophistication that makes you feel you can always go a little bit further. A couple of weeks ago I took my Strad in for routine maintenance and practised for a week on my other instrument, which is a nice, late-19th-century Italian. 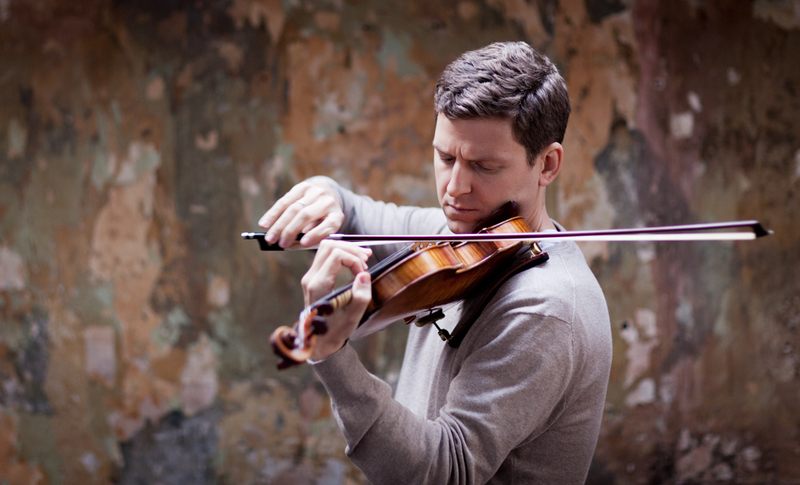 People asked me whether it was difficult to practise on that violin when I have the opportunity to play a Strad. Actually it was really easy because everything I played on it sounded basically fine. I wasn’t really pushing myself, because I felt as if it sounded as good as it was going to sound, and that was good enough. The ‘Lark’ was my first experience of an instrument that doesn’t let you rest on your laurels because there is always the feeling that there is something better to be had, if you are good enough to find it. For me, playing a ‘del Gesù’ is always a little bit dangerous because they’re so wonderfully fun and indulgent. The first ‘del Gesù’ I tried was the 1734 ‘Haddock’, when I was 15, and I fell completely head over heels for it. Ten years later I had the chance to use it for a couple of months, and while I loved it, by that time I had become more of a Strad lover – though for years I had a bit of ‘del Gesù’ envy, in a sort of ‘grass is greener’ way. The danger with them is that often they want to play a certain way. If that matches what you’re trying to do, it’s great, but I sometimes found myself starting to do things musically because it sounded right for the instrument. That’s not a great way to be making your musical decisions: the violin should be working for you and not the other way round. The fundamental way that Strad and ‘del Gesù’ violins project is different. I’ve spoken to many friends who play on Strads who agree that the better the room is the more fun you can have on a Strad. If you’re playing in a place like the Vienna Musikverein, the possibilities of what you can do are fascinating – you can fill the room with sound or bring everything down to a half whisper that can be heard in all the corners. A ‘del Gesù’ creates its own acoustic. It almost doesn’t matter where you play, it sounds great. It’s not dependent on the space and doesn’t change so much room to room. In 1996 I was living in New York and I had a friend who would sometimes bring violins from London. One day he called me and said I needed to come and see him right away. I went over and that was the first time I saw the 1715 ‘Marsick’ Strad. It was love at first sight, everything I’d been looking for. It had spent a long time in the Soviet Union, so it hadn’t been seen for a long time. It was behind the Iron Curtain when all the 20th-century books and descriptions of Strads were being written, so it had been almost forgotten. The first time I showed it to René Morel he did a double take – he wasn’t accustomed to people bringing in things he didn’t know. He immediately brought down a book from his shelf and showed me how the same log had been used for the back as for a number of wonderful instruments from around that time. The back of the ‘Titian’ is nearly identical and the ‘Soil’ is from the same piece. It was quite an education that René’s first glance from 15 feet told him not just that it was a Strad, but also the year it was made. The ‘Marsick’ has the capacity to do whatever you’re good enough to do, which puts the pressure squarely on the player. 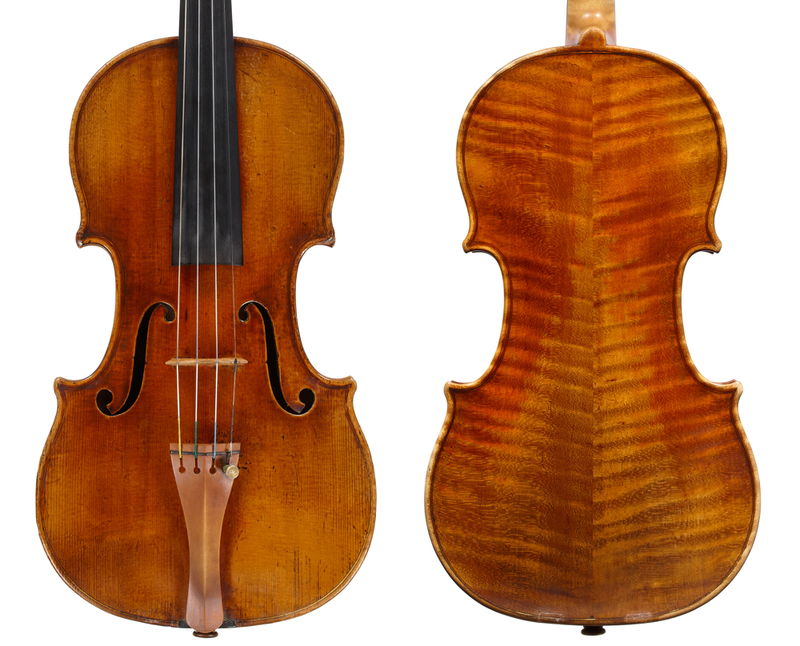 It’s not a violin that has an overwhelming personality of its own – it does what it’s told, to a certain extent. What I like so much is that you can point it in so many different directions. I was playing Mozart’s Violin Concerto no.2 and someone came up and said, ‘Your violin is just the right instrument for this piece – so lovely and light, and it sparkles.’ The next week I was playing Shostakovich and someone said, ‘It’s the perfect violin because it’s so gritty and throaty, and it projects so well.’ That’s what I want, because I don’t make a living playing the same piece day in and day out. There are probably half a dozen or so instruments scattered over the world that I would love to have some time with. It doesn’t get much better than the 1566 Andrea Amati from the museum in Cremona. It would be the least practical violin I could ever take on the road, but it would be incredible. It was a shock when I played it: I thought that it was so old it might turn to dust, but it had such a beautiful sound. I realised that at the point that this instrument was made, its sole purpose was to be beautiful. It wasn’t worried about projection, big concertos, high positions or a particularly broad range of colours: it was just supposed to sound beautiful, and that’s what it does. 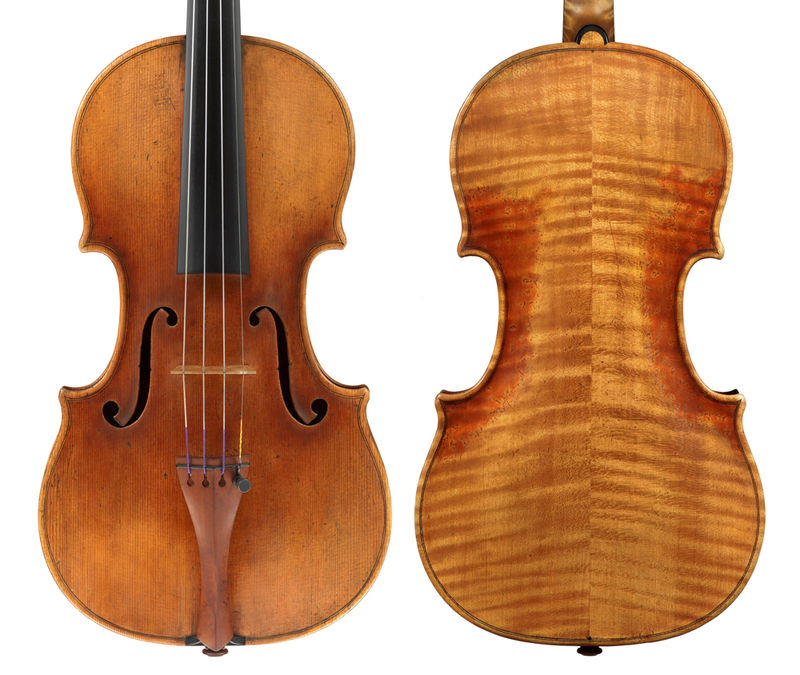 Some of the late 1730s Strads have the most intoxicating tones. Sometimes the tonal palettes are not quite as broad as the golden-period ones, and they can’t necessarily be pointed in quite as many directions, but the sound they make is so beautiful. If I were playing just for myself, one of those might be the instrument I’d choose. That’s the balance of being a performer. If you can’t please yourself you can’t please anyone, but ultimately you’re not playing for yourself. So you have to choose the instrument that can keep you inspired and confident, but also one that conveys your message to the audience.